Relief on way for one of Triangle's most-congested highways. RALEIGH, N.C. (WTVD) -- Relief is on the way for one of the most congested commutes in the Triangle. 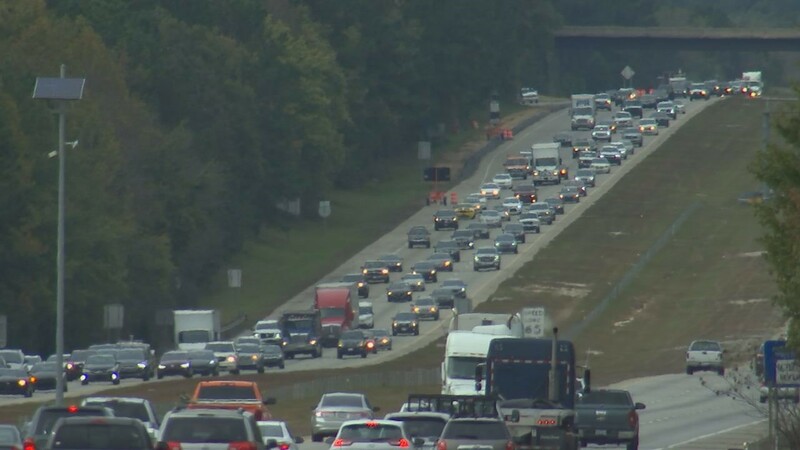 "Going home or going to the beach it's so backed up and just congested and horrible," commuter Heather John told ABC11. The work began quietly this week as crews started doing overnight prep work. It will begin in earnest next month, according to NCDOT, when concrete barriers go up. Beachgoer Diana Smith of Raleigh welcomed the news saying, "I think it's long overdue. And I hope they add more than one lane in either direction." An NCDOT spokesperson said an additional two lanes will be added both east and westbound. Thirty years ago, when I-40 ended in Raleigh, it took three hours to get to New Hanover County beaches and four hours for some beaches beyond that on the southern coast of North Carolina. The stretch to Wilmington was finished in December of 1990 and completed the 2,500-mile interstate which goes all the way to Barstow, California. The Raleigh-to-Wilmington segment not only made the beach trip quicker and easier, but it also brought growth and prosperity to southeastern Wake County and Johnston County as well. And with that growth came tons of traffic - traffic that will get an outlet when the widening is complete in 2022. During the project, the DOT will try to disrupt traffic as little as possible. The new lanes will be built first and traffic will be moved onto those lanes while the current lanes are upgraded. But construction always brings additional congestion from rubberneckers and the limited space for vehicles to pull over when a driver has car trouble or wrecks. Still, it's a welcome project. "It'll be worth it. If it actually fixes our traffic problems in that area then it will be worth it," said Heather John.